Oh my stars, how darling are these?! Right now you can grab 5 pairs of adorable baby leggings for FREE when you use the code SHOPHER1 at checkout! If you need a gift for a baby shower or an expecting mama, or if you have a little one at home (or on the way! ), these would be so stinkin' cute ~ seriously, I can't even! 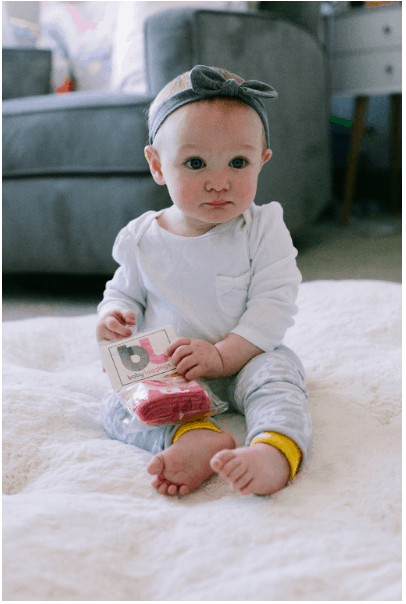 We gave some Baby Leggings to our sweet photographer friend over at Julie Haye Photography – and guys – just LOOK at these sweet shots she took of her baby girl wearing them! HOW PRECIOUS IS SHE??? 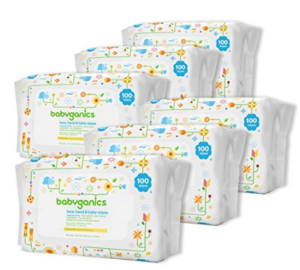 Also you won't want to miss this BabyGanics Wipes deal – SUCH a good price right now! Snack Nation Review – 50% OFF Healthy Snack Box, Delivered to Your Door!! Free Admission to SeaWorld for Teachers and Preschoolers! Super Cute Peep Toe Wedges! Silhouette Cameo 3 Bundle only $199! High Waist Ultra Soft Spring Leggings!! Super Cute Linen/Cotton Casual Top Just $16.99! KOHLS | Whimsical Sheet Sets only $11.19, Big One Pillows As Low As $2.79! Super Cute Oversize Trench Coat Just $16.99!! Super Cute Floating Shelf Set! Pocket Moto Jeggings Just $14.99!!! Cosmetic Purse Organizer ONLY $2.94 Shipped! Emoji Comforter Set only $29.99 Shipped! Under Armour Women's UA Tech V-Neck T-Shirt only $14! Free LEGO Heroes Event at Toys R Us This Saturday! Fabric Queen Size Headboard $129.99 Shipped!! !